Problem: You created a new custom form in Outlook for your contacts (added fields, deleted fields, changed the layout of fields, whatever) and made it the default form for contacts. The good news is that all new contacts will utilize the new form. The bad news is that all existing contacts will not. 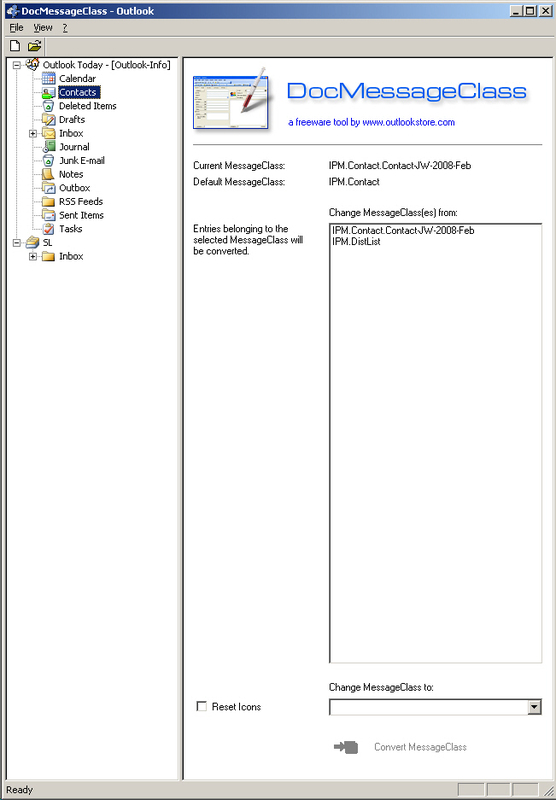 A field in the contact record called Message Class determines which form is used, but the Message Class field cannot be changed manually. The typical approach to solving this problem is to write VBScript code that changes Message Class to the new form for all items in the folder. 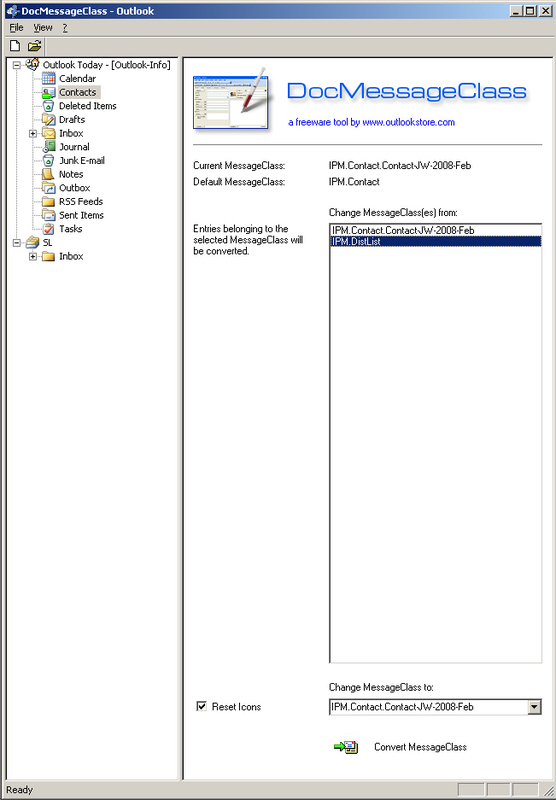 Examples of this approach may be found in the Microsoft Knowledge Base (How to update existing items in an Outlook folder to use a new custom form) and here at Experts Exchange (Changing Message Class and Journal Values Programmatically). However, many users don't have the skills to deal with VBScript code and add it to Outlook Macros (or are reluctant to do so). Solution: I had this problem myself, as I wanted to change more than 2,000 contacts to use a new form. I found an excellent, free, out-of-the-box application to do this and wrote this article to share the solution with the Experts Exchange community. 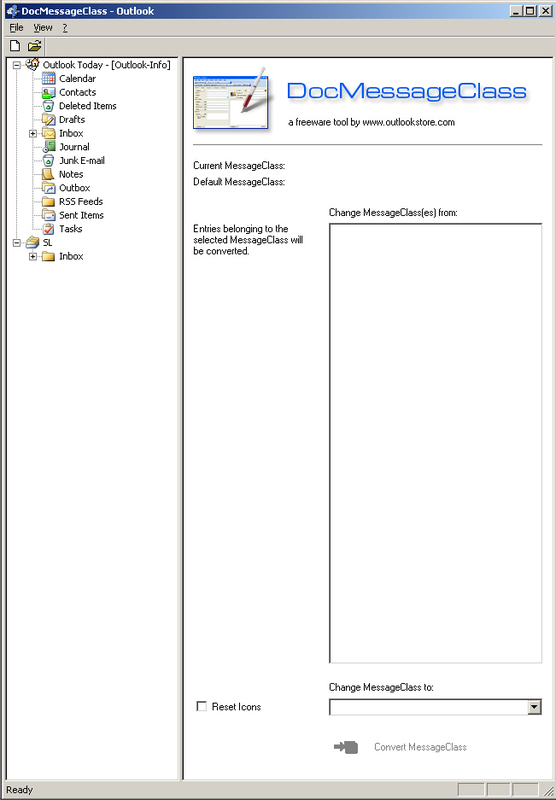 There is no VBScript code and no changes to Outlook's Macro handling (in fact, no changes to Outlook at all). You simply run a program (no installation/setup necessary – just run the EXE). The program is fast. I didn't time it, but my recollection from a few days ago is that it changed my 2,308 Outlook contacts in a minute or two. Article update 27-July-2013: The link above no longer works. The link below does. I did not try this second one. If an Experts Exchange member tries it, please post your results. The opening screen of the program (shown above) has Help text and it is everything you need to know (but www.outlookstore.com no longer exists). As the Help text says, the program is free and may be passed on to others, as long as it is unaltered and there is not any type of payment for it. 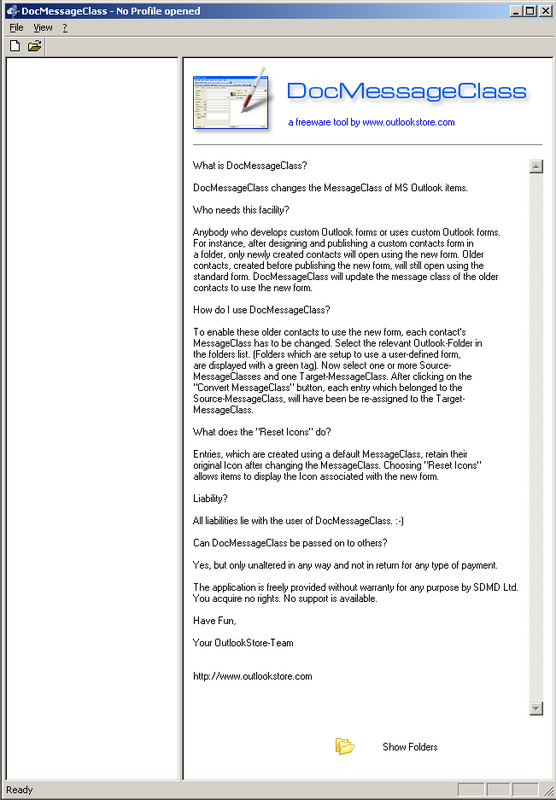 By the way, I used it on Outlook 2007. It is supposed to work on Outlook 97 through 2007. I found no statement about compatibility with Outlook 2010 (article update 27-July-2013: and, of course, no comment about Outlook 2013). If Experts Exchange members try it on Outlook versions other than 2007, please post your results. 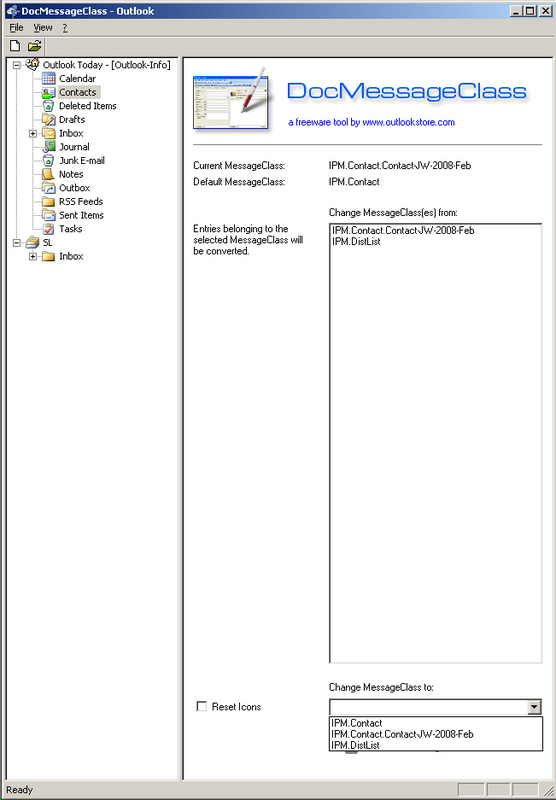 It goes without saying, but I'll say it anyway: MAKE A COPY OF YOUR OUTLOOK FILE BEFORE RUNNING THE PROGRAM. If something goes awry, you want to be able to restore easily and quickly your original Outlook file.